Department of Health and Human Services Secretary Kathleen Sebelius violated the federal law prohibiting federal employees from partisan activities, the Office of Special Counsel (OSC) reported Wednesday. "OSC concluded that Secretary Sebelius violated the Hatch Act when she made extemporaneous partisan remarks in a speech delivered in her official capacity on February 25, 2012," the office said in its report. The Hatch Act prohibits federal employees from trying to influence the outcome of an election while using their official authority or using their official title or when speaking about agency business. The OSC reports: "After the event, the Department of Health and Human Services (HHS) reclassified the trip from official to political and issued a statement to that effect. Secretary Sebelius and HHS reimbursed the U.S. Treasury for all costs and expenses associated with her travel to the event. 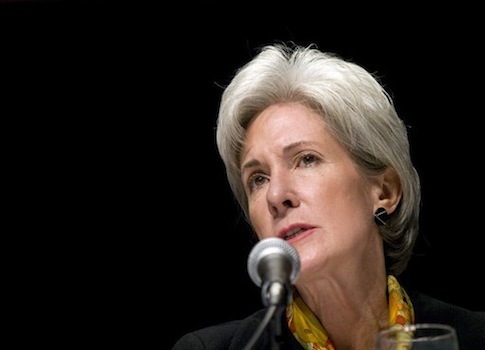 OSC found no evidence that Secretary Sebelius made any other political statements in her official capacity." The U.S. Office of Special Counsel (OSC) is an independent federal investigative and prosecutorial agency. This entry was posted in Politics and tagged HHS, Kathleen Sebelius, Obama Administration, Obama Campaign. Bookmark the permalink.